Ehu is a member of the “Deep Seven,” a group of highly sought-after bottom fish in Hawaii. It’s also among the most abundant bottom fish there. 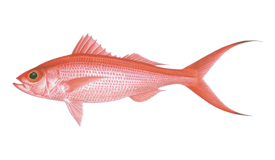 Ehu looks and tastes lot like Onaga, another Red Snapper species which is also a member of the Deep Seven. Key differences to look for on this fish include its relatively short tail fins and the yellow stripe running along its side. 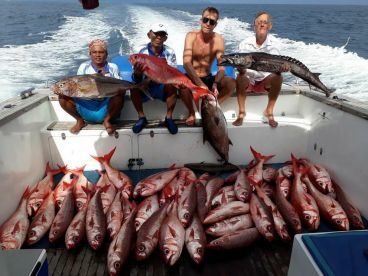 These features are the reasons why anglers also call this fish Short-tail Red Snapper and Yellow-Striped Red Snapper. 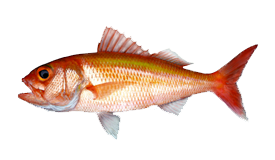 Ehu are generally smaller than their cousin fish Onaga, reaching up to 24 inches and weighing about 12 pounds. Ehu inhabit a wide range beyond Hawaii. 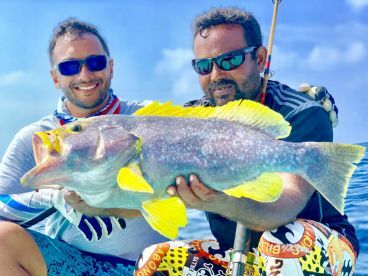 Anglers catch this fish across the Indo-Pacific, as far north as Japan, south the northern Australia, and west to the east coast of Africa. 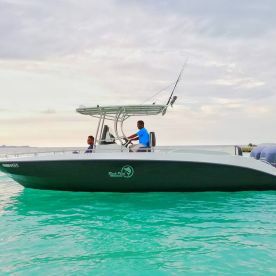 You’ll usually find Ehu around the same fishing grounds as Onaga, in 600–1,000’ waters. It’s common to fish for them between fall and spring. In Hawaii, the season closes each year in summer. 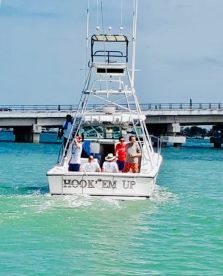 Bottom fishing is the method of choice when it comes to targeting Ehu and other fish that live in especially deep waters. Depending on what part of the world you’re in, the exact technique may vary. In Hawaii, it’s common to use deepwater handline gear with electric reels. Though Onaga is considered more desirable, Ehu is an excellent substitute. The delicate white meat of this fish tastes superb. You can eat Ehu baked, broiled, steamed, sauteed, or as sashimi. You may drop your line hoping for an Onaga, but you’re still in for a treat if you hook an Ehu instead!